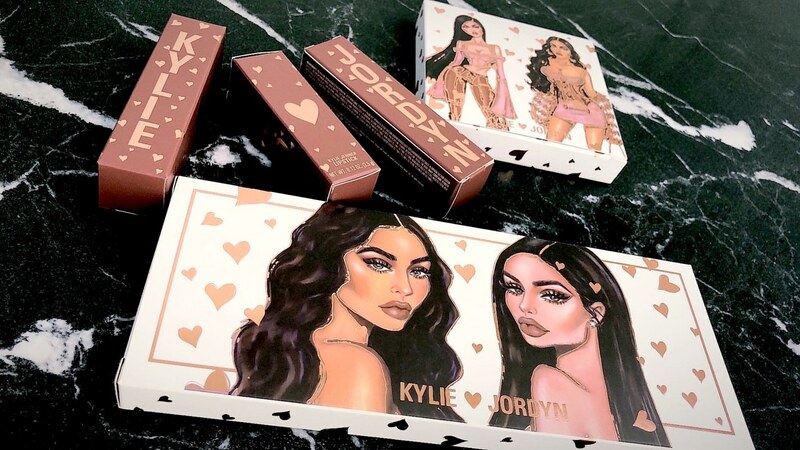 On Friday, Kylie Cosmetics, Kylie Jenner, and Jordyn Woods all took to Instagram to announce that the long-awaited Kylie x Jordyn collection would finally be revealed on Saturday — and they didn’t let us down. 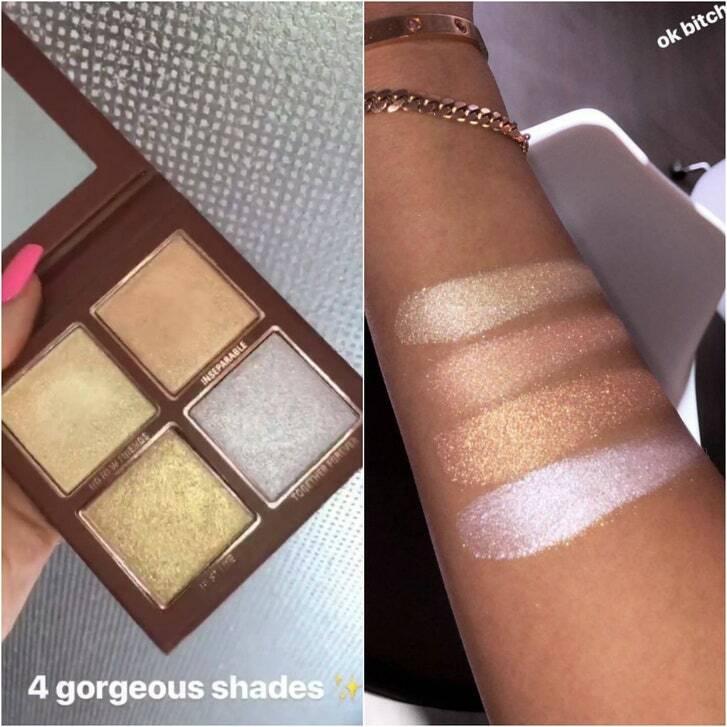 Jenner began simulcasting the products on Saturday afternoon on both her personal and Kylie Cosmetics Instagram Stories, and it looks like fans of the brand have a lot to look forward to when it launches on Friday, September 21 — namely an eye shadow palette, highlighter palette, two lip glosses, and a lipstick. 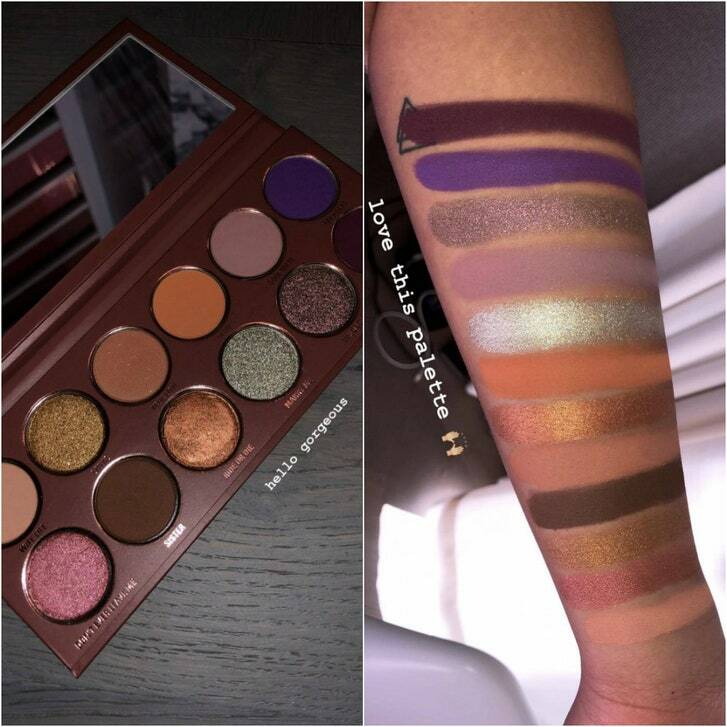 After showing viewers the packaging, which features illustrations of the BFFs, Jenner started showing off the shades in the eye shadow palette, which go by the names Wife Life, Loyal, True Love, Peru, Soul Mate, My Heart, Don’t Ever Leave Me, Sister, Ride or Die, Marry Me, Wild Love, and Love You B*tch. A mix of mattes, satins, and shimmers, the colors are exactly what you might expect for a fall launch: warm hues and rich jewel tones. After swatching the eye shadows, Jenner moved on to the Mini Highlighter Palette, which contains four shimmery shades called No New Friends, Inseparable, Best Life, and Together Forever — all metallic powders in golden and silvery tones. Jenner then moved on to the collection’s glosses. “So these two glosses right here are what I am the most excited to show you guys because it’s a brand-new formula that I think you guys are gonna fall in love with, and I’m previewing it in Jordyn’s collection because she loves glosses,” she says in a video showing the glosses’ boxes. “So Jordyn loves glosses so I had to preview my High Gloss in her collection. I hope you guys love it.” In the next clip, she shows a still of shot of the glosses — called 23 and Partner in Crime — followed by a video of them being swatched. 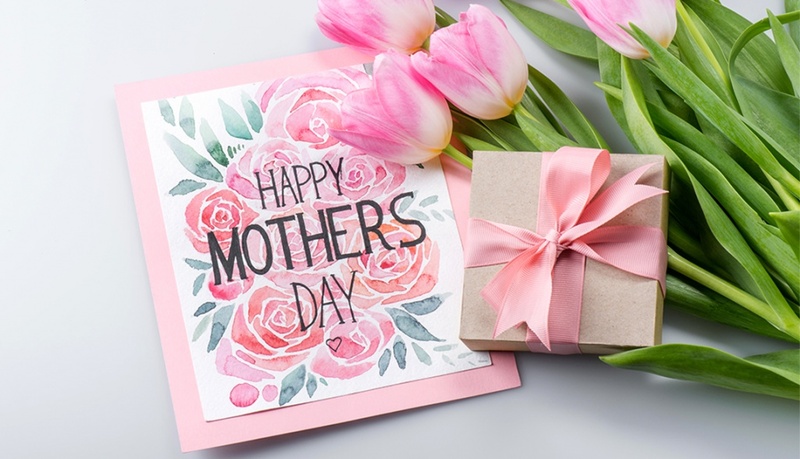 They appear to be an opaque, rosy brown and a sheer, sparkling gold, the latter of which can be seen on Woods herself. 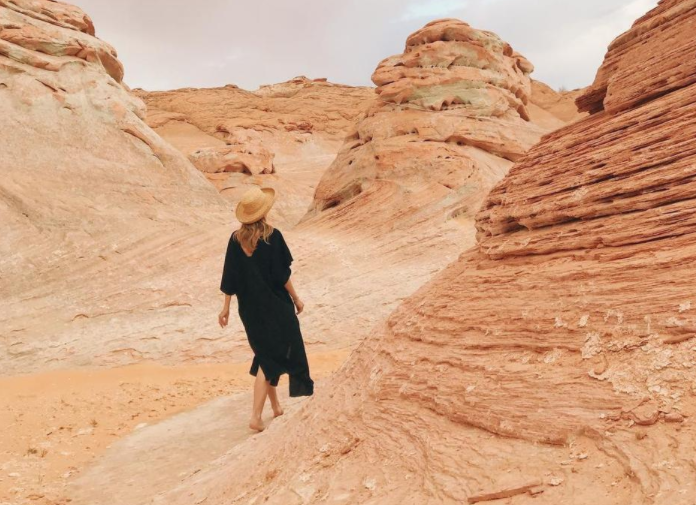 And then, “last but not least,” we were introduced to the collection’s lipstick, aptly called Woods, a tawny brick shade with incredible opacity. 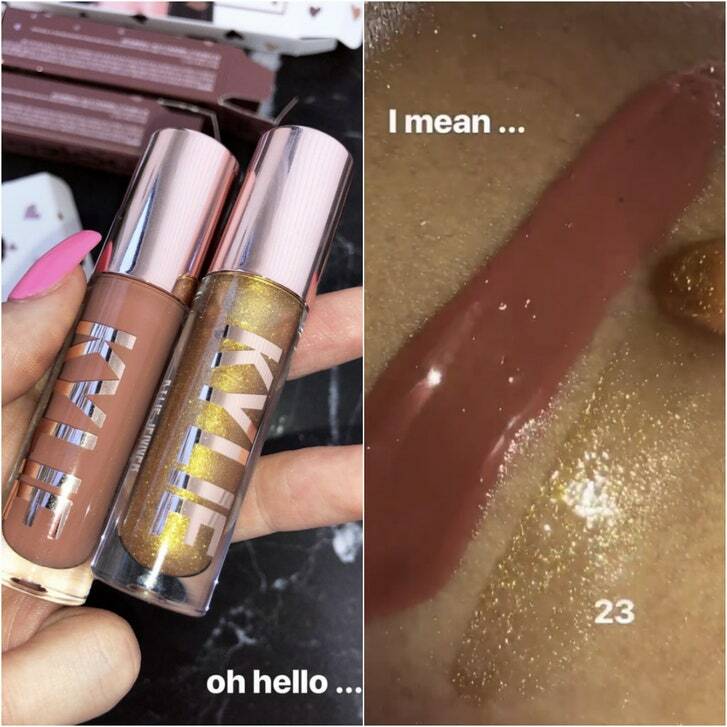 All of the Instagram accounts involved in the collection are actively posting photos of the products, so be sure to check in on their pages to see all the angles, close-ups, and swatches you could possibly need before the kyliecosmetics.com launch on September 21.